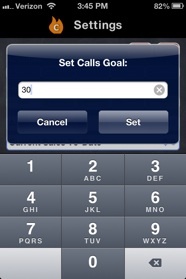 Setting, tracking and reaching your personal sale goals has never been so easy! 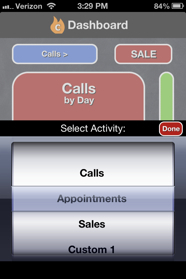 Top sales pros love it because they can add, update or edit their sales activities with one or two quick taps, anywhere, anytime, on demand! No more “spinning your wheels” using complicated, confusing & frustrating CRMs. 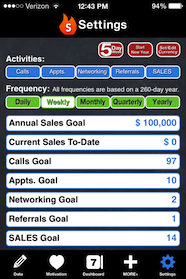 With Easy Sales Goal Tracker, you’ll save time and money knowing exactly which sales activities are most profitable. 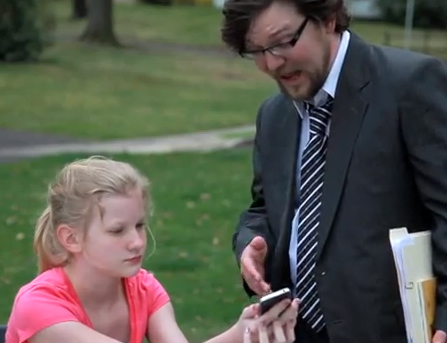 It’s like your own personal sales watchdog. 3. 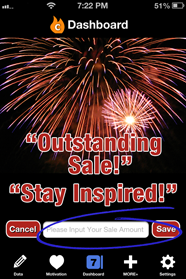 Tap To Add Sales. Done. "It just works. Period. It’s absolutely amazing." -Mary Poul, Publisher, Sales Mastery Magazine. "Click On The Image Above And Discover How This Amazing Entrepreneur Helped A Frustrated Salesman"
If you’ve ever asked yourself, “What’s the one thing I can do Today to change my sales career Right Now,” This is it. So my question is what are you waiting for? "It's 100% Guaranteed. If it’s not everything I’ve promise you, simply send me your itunes receipt and I’ll Paypal you a full (no questions asked) refund." 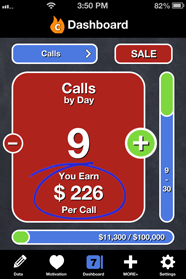 Example (right): You earn $226 for each sales call you make, whether you talk to a decision maker or not. All the sales people who have downloaded it tend to exceed their sales goals. You should click here and download now... You'll be glad you did. Tap the "❤ HEART" and be inspired by thought-provoking sales quotes. Tap ❤ again and read dynamic sales, marketing and business tips. Tap ❤ once more and discover ideas to close more sales. 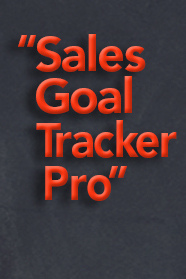 "Click To Download Now and Let Easy Sales Goal Tracker Help YOU Reach Your Personal Sales Goals... You'll be glad you did." You seem interested in sales goals. Would you like to sign up for sales goal tip emails? Yes, simply sign up below. "Haven't set your 2019 personal sales goals yet? 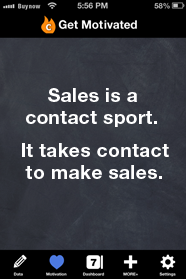 I understand many sales pros are behind too. Here's the easiest way… https://t.co/OFYycPREvm"
"Update coming soon: added the ability to save your sales data to the cloud and sync with other iPhones & iPads. https://t.co/mGdcgglBkC"
Copyright 2019. Calls On Fire LLC. All rights reserved.